The resignation of Peter Ryan, leader of the Victorian Nationals, has resulted in the calling of a by-election on 14 March 2015. 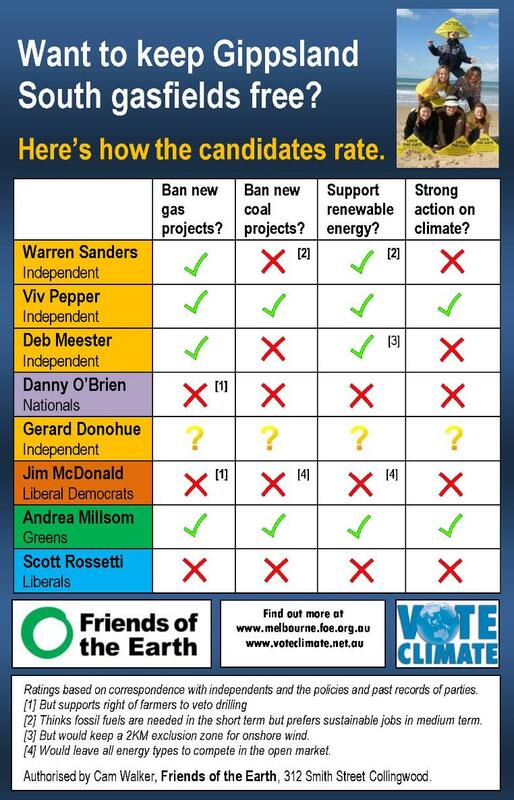 Friends of the Earth and Vote Climate have been working with local groups to find out where the candidates stand on coal, gas, renewable energy and climate. Of particular interest is the position of the four relatively unknown independent candidates who are standing. 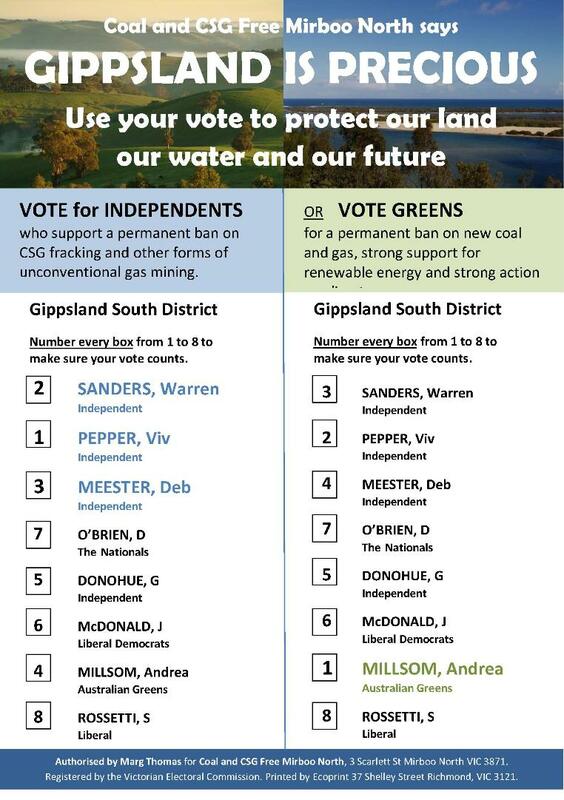 Local groups working to keep their communities coal and gasfield free have registered How to Vote cards in the names of two of the groups. Here is the one from Mirboo North.